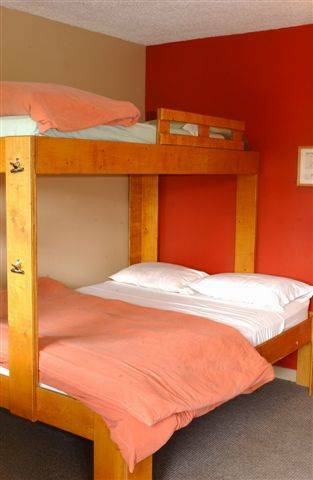 The Raging Elk Hostel is a five star backpackers!! try our unimog tours... the new trend in reaching a mountain peak!! Fernie averages 39 feet of snow annually. Fernie Alpine Resort has four large alpine bowls of unlimited terrain, it provides easy access to back country ski touring, three cat skiing operations, cross country skiing, sleding and dog sleighing in winter. In summer enjoy amazing well maintained hiking & biking trails & lift access for downhill mountain bike riding, we are also close to several beautiful lakes and the Elk river that runs through town provides world class fly fishing! In our four person semi private rooms and dorm rooms each bed has an individual locker underneath it. 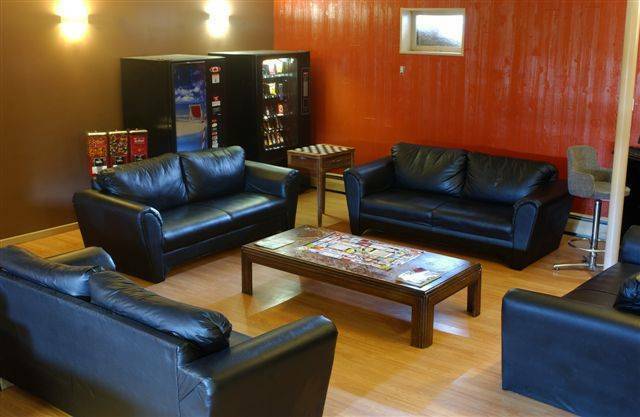 Our dorm area is perfect for group bookings, we host schools, university groups, wedding groups and reunions. 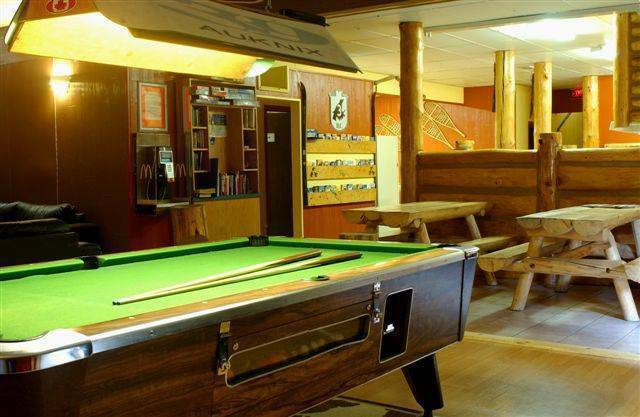 The Raging Elk is situated in the heart of Fernie... a five minute drive to Fernie Alpine Resort. Enjoy mountain biking, hiking and numerous activites right from our front doors. Fernie was recently rated best ski resort in North America. Ski Canada magazine named it Canadas best ski town. Explore magazine voted Fernie one of Canadas best communities to live and play and the good ski and snowboard guide rated Fernie Best North American Resort 2004 !! Bookings three days or less 48 hours notice prior to arrival. The Raging Elk is situated on the same street as the Greyhound bus drop off, when you hop off the bus look east on your right hand side of the street for the large red building with timber frame entrance! !